The opening stage with took riders from the official start in Asuncion, Paraguay into northern Argentina to Resistencia, a journey of 454km, of which only 39 km was timed special. 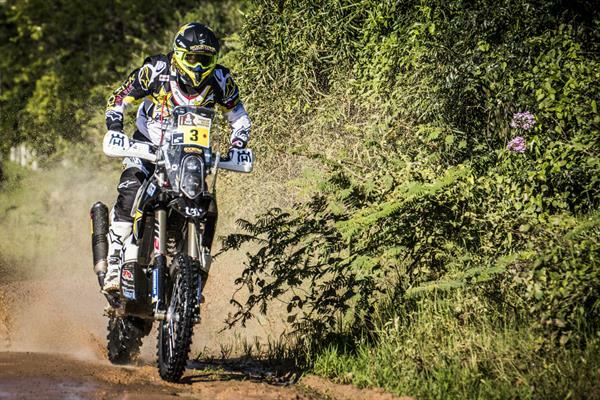 It was the first time that Paraguay has been included in the Dakar program. Riding over the less than 30-minute stretch that made up the timed special, and aware of the tactical advantage of not being at the front on day two, Quintanilla settled for twelfth, a shade over one minute off the fastest time. Renet was 19th and is just over two minutes behind the leader. Quintanilla goes into this edition as one of the favourites, particularly among the growing army of the Dakar Rally’s South American fans. He finished third in 2016, and in October was named FIM Cross Country Rallies World Champion. But aware that this edition promises to be particularly difficult with additional challenges in the form of high altitudes and navigation, the Chilean is determined to be cautious. “It will be a tough race, I will have to give everything from the beginning and be one hundred percent concentrated to avoid mistakes,” he commented before the start. The second stage sees riders tackle 812 km, of which 284 km is timed special as they ride west towards the Andes in the north of Argentina from the overnight stop at Resistencia to San Miguel de Tucuman. Organizers advise caution in the so-called Chaco region and riders can expect to encounter plenty of fine dust. Should it rain, this can turn into mud, which will add another layer of difficulty onto the stage. The Dakar Rally sporting Director, Marc Coma has that this edition will be particularly difficult in terms of extra navigation but also because during most of the first week riders will be competing at altitudes above 3500 meters. This year 142 riders are contesting the motorcycle class.